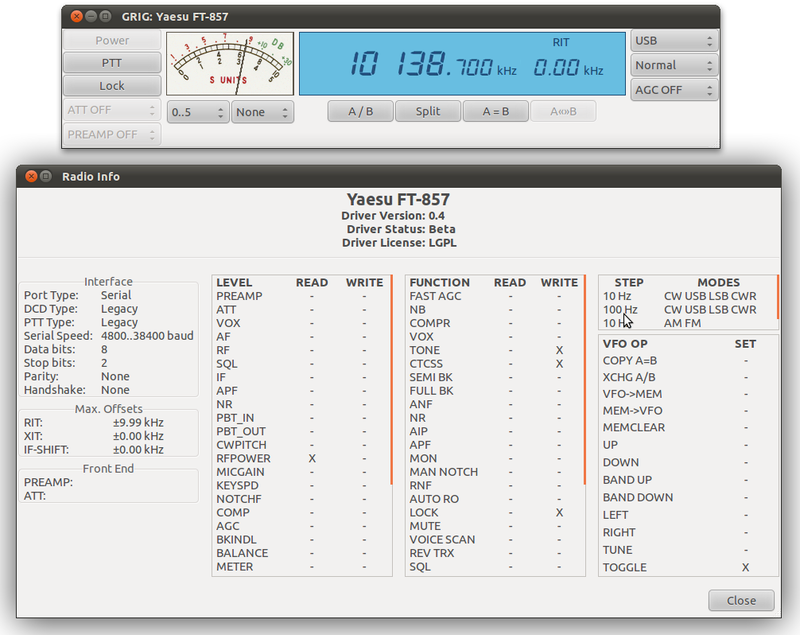 This page will detail the design of my Yaesu CAT Interface. The board performs all the standard CAT functions offered by professional cables (such as those offered by Yaesu), as well as proving option to connect the audio paths to the computer in a convenient way. The project can be made entirely from parts obtainable from high-street electronics stores, such as Maplin Electronics in the UK. 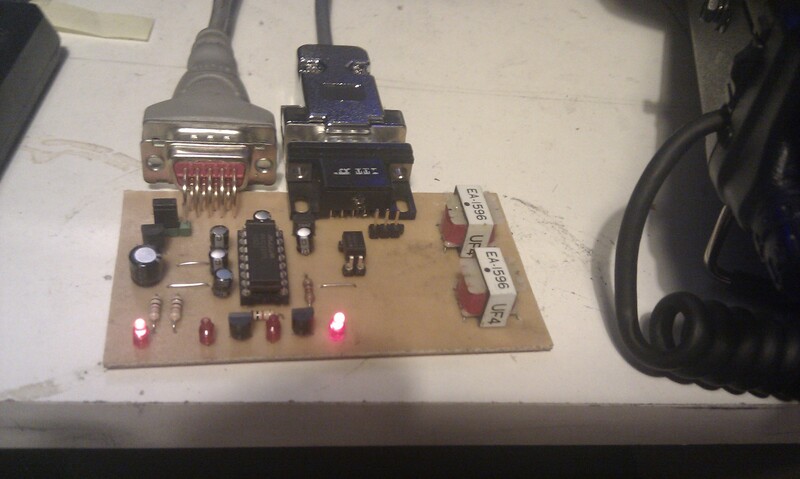 The project requires a Maxim MAX232 RS-232 level converter IC and an opto-coupler for DC isolation. The interface allows for the use of CAT commands to change the radio from receive to transmit, or using DTS/RTS (jumper selectable) as required by some software. The interface works nicely with my Yaesu FT-857D and Ham Radio Deluxe. 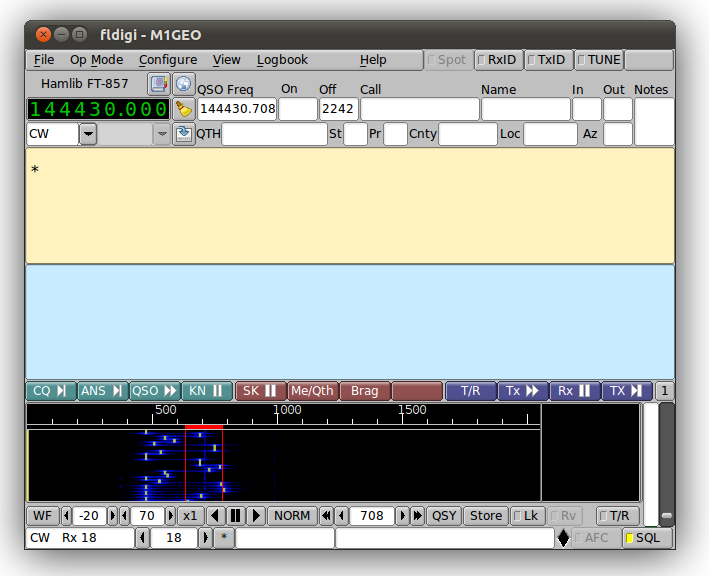 It also works with the hamlib Ham Radio Control Libraries which offer CAT interface support in Linux/Unix. This enables the WSPR program to control the radio frequency and for the use of programs such as Fldigi and gRig. It should provide a suitable CAT interface to most Yaesu transceivers requiring a level shifting interface, and will certainly provide a nice tidy way of keying a radio via serial port and sound card. 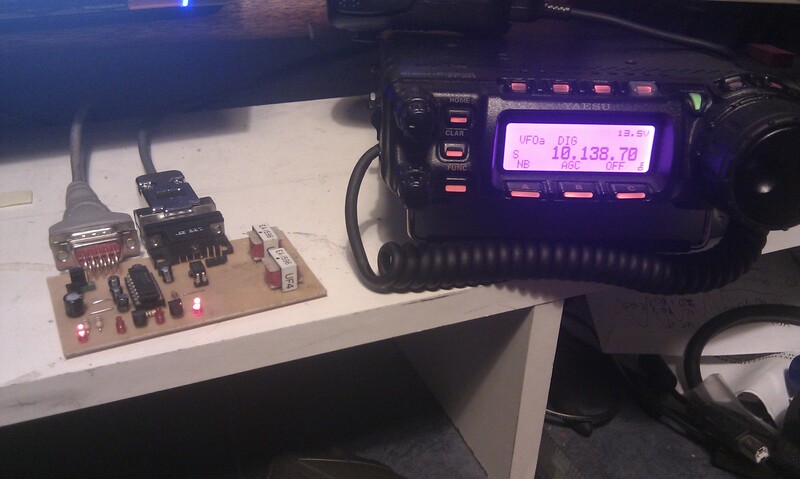 Below is an image of the prototype connected to my Yaesu FT-857D. Yaesu FT-857D showing the GB3VHF beacon’s WSJT JT-65B transmission. See for help decoding.